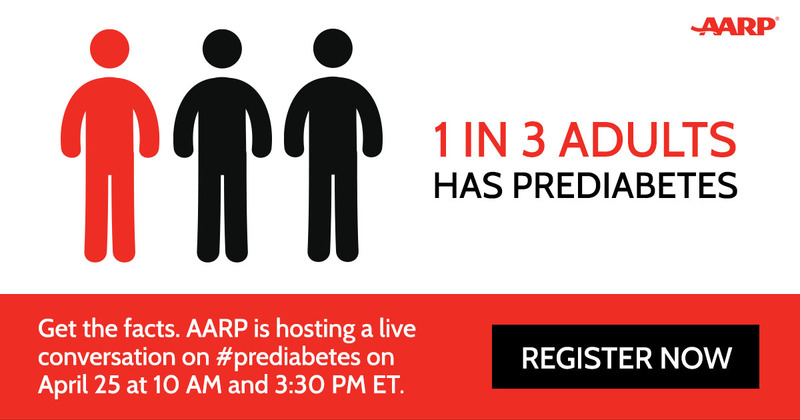 Get your questions answered at AARP’s live, telephone town hall conversation on prediabetes. Prediabetes puts you at greater risk for developing diabetes and other health problems. AARP National Volunteer President, Catherine Alicia Georges and Univision Chief Medical Correspondent Juan Rivera will join leading health experts to discuss how to assess and reduce your risk. Learn what you can do now to protect yourself and your family. Register to receive a call when the event begins and join this important discussion.